Imagine if a hard-earned home in installments over the years should be sold for medical expenses due to illness or accident. Many insurance products are offered in the market. Protection is also diverse, from simple to comprehensive protection. Careful in buying insurance products will provide many benefits! Before deciding to insure and determine the insurance products that we will buy, understand and understand correctly about the terms, terms and obligations that are in the insurance clause. 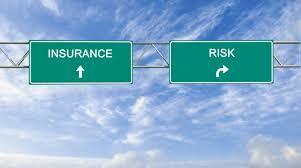 Rights and obligations of policyholders are the main ones and become the guidance for policyholders. Finding information about the product to be purchased is a very important requirement related to the selection of insurance products to be purchased. The information can be viewed from the website of the insurance company or through the brochures available. Can also information we get from the Insurance Agent. 1. Traditional Life Insurance. Traditional insurance provides benefits with a definite amount as it is in the policy and does not depend on investment performance. 2. Unit Link. Unit link insurance is associated with investment, providing investment benefits that depend on the performance of the type of investment fund chosen by the customer since the beginning of the insurance application. - Rights and obligations as policyholder. Such as the obligation to pay premiums, sanctions due to late or unpaid premiums, as well as the right to obtain insurance benefits when the occurrence of insured risks. - Rights and obligations of insurance companies as insurers. Such as the obligation of insurance companies to pay claims filed by policyholders or heirs. - Grace period facility. Freedom is given to anticipate late payment of premiums. Policy whose premium has not been paid after the due date of payment until the limit of freedom will still be borne if there is a risk in that period. Duration of this free period 30 s / d 60 days. - Chapter exceptions on general policy terms. - Special provisions for products purchased. Some insurance products have special specifications that need to be poured in a special provision.